Please contact us at enquiries@mcphersondance.co.uk to register your interest. Following the Royal Academy of Dance syllabus, classes are offered from Pre-School to Vocational level. Pre-school classes are intended to introduce students to the joy of dancing to music through favourite nursery rhymes and imaginative story sequences. These structured classes develop students’ physical skills, stamina, creativity, expression and musicality using a range of movements and musical styles. The syllabus prepares students for a successful transition to ballet and other dance genres at higher levels. Character – the theatrical presentation of national dance using original ethnic dance and music which has been freely adapted for the theatre. The three styles — Hungarian, Russian and Polish — were selected because of their historic importance in the development of the nineteenth century full-length classical ballets. Vocational classes are for committed students looking to advance to a professional career in dance. Entry into the vocational grades is by invitation only and provide an in-depth study of ballet developing the technique, music and performance skills of the student. It also introduces pointe work for female candidates. 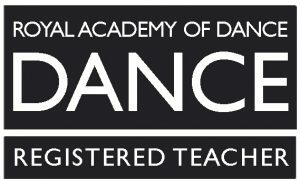 This highly focused and practical training education prepares students for a dance, or dance related, career. The vocational graded syllabi are appropriate for students from the age of 11 years. and technical aptitude to enable them to respond to demanding study and should be attending at least 2 ballet classes a week. These examinations are recognised worldwide as a basis for professional training.